Jeff Raikes, co-founder of the Raikes Foundation, was previously CEO of the Bill & Melinda Gates Foundation and a Microsoft division president. And he wishes he would have had a Raikes School when he was at Nebraska. A Nebraskan - he grew up on a farm near Ashland, Neb. - Raikes is a corporate advisory board member and adviser to the Raikes School. 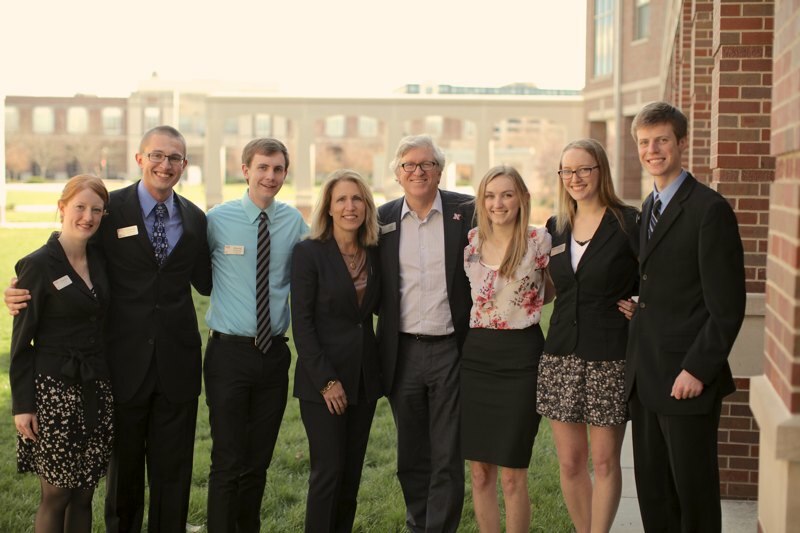 The CEO of the Bill & Melinda Gates Foundation is engaged in the program and committed to supporting its success because he believes in the program, the students, and in the future of Nebraska. "The Raikes School is unique in that it is the premier program bringing together the domain of computer science and information technology with business. We need industry and government leaders who understand both of these domains in order to prepare for a global, information-based economy," he said. The University of Nebraska-Lincoln dedicated the Jeffrey S. Raikes School of Computer Science and Management in 2008. The program was created in 2001 under a previous name, the J.D. Edwards Honors Program in Computer Science and Management.